Sad news today that Andy Griffith died. While I'm not old enough by quite a few years to have enjoyed The Andy Griffith Show in its original run, I grew up on the reruns. I still go through periods where I watch the show for a few weeks on whatever local channel is playing it. In fact I've been on such a kick this past month. And if you're looking for an Andy Griffith film to dive into this evening, I suggest locating a copy of No Time for Sergeants (1958) a truly classic, family comedy, OR if you're in the mood for a slightly raunchier, comedy, his last film Play The Game should be right up your alley. Anyone else fans of the show? Favorite episodes? Very sad news. I've been to the original Mayberry - Mt. Airy in North Carolina. I loved the show but never heard the song. It's awesome. Thanks for sharing. May Andy rest in peace. He was one of the good ones. I'm WAY OLD ENOUGH to remember the originals, and the reruns are still just as good. I too have been to Mt. Airy, from whence you can see Pilot Mountain from whence the Mount Pilot in the show got it's name. Andy Griffith was a class act. So sorry he's gone. To be honest, I always loved Don Knotts. My siblings & I grew up on his Disney Movies & to this day they are a staple in joke in my parents' house. So while I'm totally bummed that Mr. Griffith has passed, I have to honestly say that I miss Barney Fife a little bit more. I must of been sleeping in a cave for the past week because I didn't hear that he died. 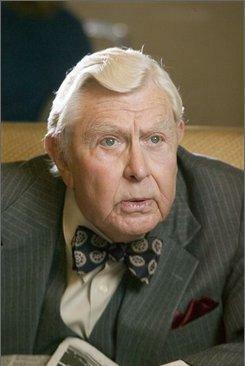 Poor Matlock. There was an Andy Griffith Show marathon this past weekend. I must have sat through four episodes before realizing that it was darn near midnight. The man was something else, and will be missed. I remember the original and really only liked Don Knotts! No Time For Sergeants was a GREAT movie!